Russian military surveillance satellite. A further modification of the Zenit-4MK, accepted for military service in 1976, entered service in 1978. Reconnaissance, photo (film return type) satellite built by TsSKB for GRU, Russia. Launched 1977 - 1980. Used Zenit bus. AKA: 11F692M;4KMKM. Status: Operational 1977. First Launch: 1977-07-12. Last Launch: 1980-10-10. Number: 39 . Gross mass: 6,300 kg (13,800 lb). May be simply the low-altitude variant of the Zenit-6U. Improved high resolution, maneuverable; (two-tone telemetry). Typical orbital profile: inclination 62.8 degrees, 180-325 km altitude, maneuvering to 170-315 km; inclination 65 degrees, 205-300 km altitude maneuvering to 170-305 km; inclination 72.8 degrees, 205-340 km altitude, maneuvering to 170-315 km. Designed duration: 12 or 14 days. Transmission frequencies observed in West: 19.989 FSK; 39.978 FSK; 232.0 PPM-AM. Family: Military surveillance sat, Surveillance, Surveillance orbit. Country: Russia. 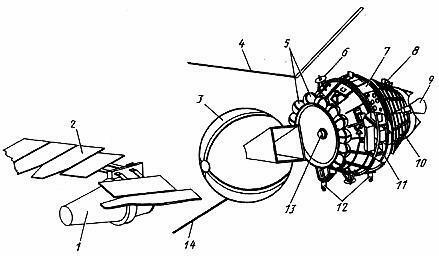 Engines: 11D82M. Launch Vehicles: R-7, Soyuz-U. Launch Sites: Baikonur, Baikonur LC1, Plesetsk, Baikonur LC31. Agency: MOM, Kozlov bureau. Bibliography: 102, 110, 2, 42, 445, 6, 13386. 1977 July 12 - . 09:00 GMT - . Launch Site: Plesetsk. LV Family: R-7. Launch Vehicle: Soyuz-U. Cosmos 927 - . Mass: 6,300 kg (13,800 lb). Nation: Russia. Agency: MOM. Class: Surveillance. Type: Military surveillance satellite. 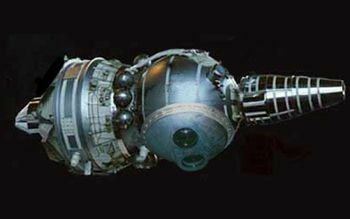 Spacecraft Bus: Vostok. Spacecraft: Zenit-4MKM. Duration: 13.00 days. Decay Date: 1977-07-25 . USAF Sat Cat: 10139 . COSPAR: 1977-063A. Apogee: 361 km (224 mi). Perigee: 153 km (95 mi). Inclination: 72.90 deg. Period: 89.70 min. High resolution photo reconnaissance satellite; returned film capsule; maneuverable..
1977 July 20 - . 07:35 GMT - . Launch Site: Baikonur. Launch Complex: Baikonur LC1. Launch Pad: LC1 or LC31. LV Family: R-7. Launch Vehicle: Soyuz-U. Cosmos 932 - . Mass: 6,300 kg (13,800 lb). Nation: Russia. Agency: MOM. Class: Surveillance. Type: Military surveillance satellite. Spacecraft Bus: Vostok. Spacecraft: Zenit-4MKM. Duration: 13.00 days. Decay Date: 1977-08-02 . USAF Sat Cat: 10153 . COSPAR: 1977-069A. Apogee: 358 km (222 mi). Perigee: 150 km (90 mi). Inclination: 65.00 deg. Period: 89.60 min. High resolution photo reconnaissance satellite; returned film capsule; maneuverable..
1977 August 10 - . Launch Site: Baikonur. Launch Complex: Baikonur LC31. LV Family: R-7. Launch Vehicle: Soyuz-U. FAILURE: Failure. Failed Stage: U.
Zenit-4MKM - . Mass: 6,300 kg (13,800 lb). Nation: Russia. Agency: RVSN. Class: Surveillance. Type: Military surveillance satellite. Spacecraft Bus: Vostok. Spacecraft: Zenit-4MKM. Decay Date: 1977-08-30 . High resolution photo reconnaissance mission..
1977 August 24 - . 14:30 GMT - . Launch Site: Plesetsk. LV Family: R-7. Launch Vehicle: Soyuz-U. Cosmos 938 - . Mass: 6,300 kg (13,800 lb). Nation: Russia. Agency: MOM. Class: Surveillance. Type: Military surveillance satellite. Spacecraft Bus: Vostok. Spacecraft: Zenit-4MKM. Duration: 13.00 days. Decay Date: 1977-09-06 . USAF Sat Cat: 10281 . COSPAR: 1977-078A. Apogee: 340 km (210 mi). Perigee: 181 km (112 mi). Inclination: 62.80 deg. Period: 89.70 min. High resolution photo reconnaissance satellite; returned film capsule; maneuverable..
1977 September 16 - . 14:30 GMT - . Launch Site: Plesetsk. LV Family: R-7. Launch Vehicle: Soyuz-U. Cosmos 953 - . Mass: 6,300 kg (13,800 lb). Nation: Russia. Agency: MOM. Class: Surveillance. Type: Military surveillance satellite. Spacecraft Bus: Vostok. Spacecraft: Zenit-4MKM. Duration: 13.00 days. Decay Date: 1977-09-29 . USAF Sat Cat: 10359 . COSPAR: 1977-089A. Apogee: 330 km (200 mi). Perigee: 180 km (110 mi). Inclination: 62.80 deg. Period: 89.60 min. High resolution photo reconnaissance satellite; returned film capsule; maneuverable..
1977 September 30 - . 09:46 GMT - . Launch Site: Baikonur. Launch Complex: Baikonur LC1. Launch Pad: LC1 or LC31. LV Family: R-7. Launch Vehicle: Soyuz-U. Cosmos 957 - . Mass: 6,000 kg (13,200 lb). Nation: Russia. Agency: MOM. Class: Surveillance. Type: Military surveillance satellite. Spacecraft Bus: Vostok. Spacecraft: Zenit-4MKM. Duration: 13.00 days. Decay Date: 1977-10-13 . USAF Sat Cat: 10385 . COSPAR: 1977-098A. Apogee: 361 km (224 mi). Perigee: 171 km (106 mi). Inclination: 65.00 deg. Period: 89.80 min. High resolution photo reconnaissance satellite; returned film capsule. 1977 December 4 - . 12:00 GMT - . Launch Site: Plesetsk. LV Family: R-7. Launch Vehicle: Soyuz-U. Cosmos 964 - . Mass: 6,300 kg (13,800 lb). Nation: Russia. Agency: MOM. Class: Surveillance. Type: Military surveillance satellite. Spacecraft Bus: Vostok. Spacecraft: Zenit-4MKM. Duration: 13.00 days. Decay Date: 1977-12-17 . USAF Sat Cat: 10498 . COSPAR: 1977-110A. Apogee: 362 km (224 mi). Perigee: 171 km (106 mi). Inclination: 72.90 deg. Period: 89.90 min. High resolution photo reconnaissance satellite; returned film capsule; maneuverable..
1977 December 20 - . 15:50 GMT - . Launch Site: Plesetsk. LV Family: R-7. Launch Vehicle: Soyuz-U. Cosmos 969 - . Mass: 6,300 kg (13,800 lb). Nation: Russia. Agency: MOM. Class: Surveillance. Type: Military surveillance satellite. Spacecraft Bus: Vostok. Spacecraft: Zenit-4MKM. Duration: 14.00 days. Decay Date: 1978-01-03 . USAF Sat Cat: 10527 . COSPAR: 1977-120A. Apogee: 317 km (196 mi). Perigee: 180 km (110 mi). Inclination: 62.80 deg. Period: 89.50 min. High resolution photo reconnaissance satellite; returned film capsule; maneuverable..
1978 January 6 - . 15:50 GMT - . Launch Site: Plesetsk. LV Family: R-7. Launch Vehicle: Soyuz-U. Cosmos 974 - . Mass: 6,300 kg (13,800 lb). Nation: Russia. Agency: MOM. Class: Surveillance. Type: Military surveillance satellite. Spacecraft Bus: Vostok. Spacecraft: Zenit-4MKM. Duration: 13.00 days. Decay Date: 1978-01-19 . USAF Sat Cat: 10554 . COSPAR: 1978-001A. Apogee: 334 km (207 mi). Perigee: 178 km (110 mi). Inclination: 62.80 deg. Period: 89.60 min. High resolution photo reconnaissance satellite; returned film capsule; maneuverable..
1978 January 24 - . 09:50 GMT - . Launch Site: Baikonur. Launch Complex: Baikonur LC1. Launch Pad: LC1 or LC31. LV Family: R-7. Launch Vehicle: Soyuz-U. Cosmos 986 - . Mass: 6,300 kg (13,800 lb). Nation: Russia. Agency: MOM. Class: Surveillance. Type: Military surveillance satellite. Spacecraft Bus: Vostok. Spacecraft: Zenit-4MKM. Duration: 14.00 days. Decay Date: 1978-02-07 . USAF Sat Cat: 10607 . COSPAR: 1978-010A. Apogee: 318 km (197 mi). Perigee: 172 km (106 mi). Inclination: 65.00 deg. Period: 89.40 min. High resolution photo reconnaissance satellite; returned film capsule; maneuverable..
1978 January 31 - . 14:50 GMT - . Launch Site: Plesetsk. LV Family: R-7. Launch Vehicle: Soyuz-U. Cosmos 987 - . Mass: 6,300 kg (13,800 lb). Nation: Russia. Agency: MOM. Class: Surveillance. Type: Military surveillance satellite. Spacecraft Bus: Vostok. Spacecraft: Zenit-4MKM. Duration: 14.00 days. Decay Date: 1978-02-14 . USAF Sat Cat: 10639 . COSPAR: 1978-013A. Apogee: 322 km (200 mi). Perigee: 189 km (117 mi). Inclination: 62.80 deg. Period: 89.60 min. High resolution photo reconnaissance satellite; returned film capsule; maneuverable..
1978 February 14 - . 09:30 GMT - . Launch Site: Baikonur. Launch Complex: Baikonur LC1. Launch Pad: LC1 or LC31. LV Family: R-7. Launch Vehicle: Soyuz-U. Cosmos 989 - . Mass: 6,300 kg (13,800 lb). Nation: Russia. Agency: MOM. Class: Surveillance. Type: Military surveillance satellite. Spacecraft Bus: Vostok. Spacecraft: Zenit-4MKM. Duration: 14.00 days. Decay Date: 1978-02-28 . USAF Sat Cat: 10672 . COSPAR: 1978-017A. Apogee: 318 km (197 mi). Perigee: 169 km (105 mi). Inclination: 65.10 deg. Period: 89.40 min. High resolution photo reconnaissance satellite; returned film capsule; maneuverable..
1978 March 10 - . 10:42 GMT - . Launch Site: Plesetsk. LV Family: R-7. Launch Vehicle: Soyuz-U. Cosmos 993 - . Mass: 6,300 kg (13,800 lb). Nation: Russia. Agency: MOM. Class: Surveillance. Type: Military surveillance satellite. Spacecraft Bus: Vostok. Spacecraft: Zenit-4MKM. Duration: 13.00 days. Decay Date: 1978-03-23 . USAF Sat Cat: 10725 . COSPAR: 1978-027A. Apogee: 325 km (201 mi). Perigee: 190 km (110 mi). Inclination: 72.80 deg. Period: 89.60 min. High resolution photo reconnaissance satellite; returned film capsule; maneuverable..
1978 March 30 - . 07:50 GMT - . Launch Site: Baikonur. Launch Complex: Baikonur LC1. Launch Pad: LC1 or LC31. LV Family: R-7. Launch Vehicle: Soyuz-U. Cosmos 999 - . Mass: 6,300 kg (13,800 lb). Nation: Russia. Agency: MOM. Class: Surveillance. Type: Military surveillance satellite. Spacecraft Bus: Vostok. Spacecraft: Zenit-4MKM. Duration: 13.00 days. Decay Date: 1978-04-12 . USAF Sat Cat: 10773 . COSPAR: 1978-033A. Apogee: 352 km (218 mi). Perigee: 174 km (108 mi). Inclination: 71.40 deg. Period: 89.80 min. High resolution photo reconnaissance satellite; returned film capsule; maneuverable..
1978 April 20 - . 15:30 GMT - . Launch Site: Plesetsk. LV Family: R-7. Launch Vehicle: Soyuz-U. Cosmos 1003 - . Mass: 6,300 kg (13,800 lb). Nation: Russia. Agency: MOM. Class: Surveillance. Type: Military surveillance satellite. Spacecraft Bus: Vostok. Spacecraft: Zenit-4MKM. Duration: 14.00 days. Decay Date: 1978-05-04 . USAF Sat Cat: 10811 . COSPAR: 1978-040A. Apogee: 328 km (203 mi). Perigee: 178 km (110 mi). Inclination: 62.80 deg. Period: 89.50 min. High resolution photo reconnaissance satellite; returned film capsule; maneuverable..
1978 May 16 - . 10:40 GMT - . Launch Site: Plesetsk. LV Family: R-7. Launch Vehicle: Soyuz-U. Cosmos 1007 - . Mass: 6,300 kg (13,800 lb). Nation: Russia. Agency: MOM. Class: Surveillance. Type: Military surveillance satellite. Spacecraft Bus: Vostok. Spacecraft: Zenit-4MKM. Duration: 13.00 days. Decay Date: 1978-05-29 . USAF Sat Cat: 10895 . COSPAR: 1978-048A. Apogee: 350 km (210 mi). Perigee: 168 km (104 mi). Inclination: 72.80 deg. Period: 89.70 min. High resolution photo reconnaissance satellite; returned film capsule; maneuverable; also performed earth resources tasks..
1978 June 10 - . 08:35 GMT - . Launch Site: Baikonur. Launch Complex: Baikonur LC1. Launch Pad: LC1 or LC31. LV Family: R-7. Launch Vehicle: Soyuz-U. Cosmos 1021 - . Mass: 6,300 kg (13,800 lb). Nation: Russia. Agency: MOM. Class: Surveillance. Type: Military surveillance satellite. Spacecraft Bus: Vostok. Spacecraft: Zenit-4MKM. Duration: 13.00 days. Decay Date: 1978-06-23 . USAF Sat Cat: 10939 . COSPAR: 1978-057A. Apogee: 313 km (194 mi). Perigee: 173 km (107 mi). Inclination: 65.00 deg. Period: 89.40 min. High resolution photo reconnaissance satellite; returned film capsule; maneuverable..
1978 June 12 - . 10:30 GMT - . Launch Site: Plesetsk. LV Family: R-7. Launch Vehicle: Soyuz-U. Cosmos 1022 - . Mass: 6,300 kg (13,800 lb). Nation: Russia. Agency: MOM. Class: Surveillance. Type: Military surveillance satellite. Spacecraft Bus: Vostok. Spacecraft: Zenit-4MKM. Duration: 13.00 days. Decay Date: 1978-06-25 . USAF Sat Cat: 10944 . COSPAR: 1978-059A. Apogee: 344 km (213 mi). Perigee: 171 km (106 mi). Inclination: 72.80 deg. Period: 89.70 min. High resolution photo reconnaissance satellite; returned film capsule; maneuverable..
1978 August 29 - . 15:00 GMT - . Launch Site: Plesetsk. LV Family: R-7. Launch Vehicle: Soyuz-U. Cosmos 1029 - . Mass: 6,300 kg (13,800 lb). Nation: Russia. Agency: MOM. Class: Surveillance. Type: Military surveillance satellite. Spacecraft Bus: Vostok. Spacecraft: Zenit-4MKM. Duration: 10.00 days. Decay Date: 1978-09-08 . USAF Sat Cat: 11012 . COSPAR: 1978-082A. Apogee: 316 km (196 mi). Perigee: 194 km (120 mi). Inclination: 62.80 deg. Period: 89.60 min. High resolution photo reconnaissance satellite; returned film capsule; maneuverable..
1978 September 9 - . 15:00 GMT - . Launch Site: Plesetsk. LV Family: R-7. Launch Vehicle: Soyuz-U. Cosmos 1031 - . Mass: 6,300 kg (13,800 lb). Nation: Russia. Agency: MOM. Class: Surveillance. Type: Military surveillance satellite. Spacecraft Bus: Vostok. Spacecraft: Zenit-4MKM. Duration: 13.00 days. Decay Date: 1978-09-22 . USAF Sat Cat: 11022 . COSPAR: 1978-085A. Apogee: 329 km (204 mi). Perigee: 182 km (113 mi). Inclination: 62.80 deg. Period: 89.60 min. High resolution photo reconnaissance satellite; returned film capsule; maneuverable..
1978 October 6 - . 15:30 GMT - . Launch Site: Plesetsk. LV Family: R-7. Launch Vehicle: Soyuz-U. Cosmos 1042 - . Mass: 6,300 kg (13,800 lb). Nation: Russia. Agency: MOM. Class: Surveillance. Type: Military surveillance satellite. Spacecraft Bus: Vostok. Spacecraft: Zenit-4MKM. Duration: 13.00 days. Decay Date: 1978-10-19 . USAF Sat Cat: 11052 . COSPAR: 1978-092A. Apogee: 299 km (185 mi). Perigee: 179 km (111 mi). Inclination: 62.80 deg. Period: 89.30 min. High resolution photo reconnaissance satellite; returned film capsule; maneuverable..
1978 November 15 - . 11:45 GMT - . Launch Site: Plesetsk. LV Family: R-7. Launch Vehicle: Soyuz-U. Cosmos 1047 - . Mass: 6,300 kg (13,800 lb). Nation: Russia. Agency: MOM. Class: Surveillance. Type: Military surveillance satellite. Spacecraft Bus: Vostok. Spacecraft: Zenit-4MKM. Duration: 13.00 days. Decay Date: 1978-11-28 . USAF Sat Cat: 11108 . COSPAR: 1978-104A. Apogee: 354 km (219 mi). Perigee: 171 km (106 mi). Inclination: 72.90 deg. Period: 89.80 min. High resolution photo reconnaissance satellite; returned film capsule; maneuverable..
1978 November 21 - . 12:00 GMT - . Launch Site: Plesetsk. LV Family: R-7. Launch Vehicle: Soyuz-U. Cosmos 1049 - . Mass: 6,300 kg (13,800 lb). Nation: Russia. Agency: MOM. Class: Surveillance. Type: Military surveillance satellite. Spacecraft Bus: Vostok. Spacecraft: Zenit-4MKM. Duration: 13.00 days. Decay Date: 1978-12-04 . USAF Sat Cat: 11118 . COSPAR: 1978-107A. Apogee: 338 km (210 mi). Perigee: 169 km (105 mi). Inclination: 72.90 deg. Period: 89.60 min. High resolution photo reconnaissance satellite; returned film capsule; maneuverable..
1978 December 7 - . 15:30 GMT - . Launch Site: Plesetsk. LV Family: R-7. Launch Vehicle: Soyuz-U. Cosmos 1059 - . Mass: 6,300 kg (13,800 lb). Nation: Russia. Agency: MOM. Class: Surveillance. Type: Military surveillance satellite. Spacecraft Bus: Vostok. Spacecraft: Zenit-4MKM. Duration: 13.00 days. Decay Date: 1978-12-20 . USAF Sat Cat: 11137 . COSPAR: 1978-110A. Apogee: 338 km (210 mi). Perigee: 180 km (110 mi). Inclination: 62.80 deg. Period: 89.70 min. High resolution photo reconnaissance satellite; returned film capsule; maneuverable..
1978 December 26 - . 15:30 GMT - . Launch Site: Plesetsk. LV Family: R-7. Launch Vehicle: Soyuz-U. Cosmos 1068 - . Mass: 6,300 kg (13,800 lb). Nation: Russia. Agency: MOM. Class: Surveillance. Type: Military surveillance satellite. Spacecraft Bus: Vostok. Spacecraft: Zenit-4MKM. Duration: 13.00 days. Decay Date: 1979-01-08 . USAF Sat Cat: 11169 . COSPAR: 1978-123A. Apogee: 389 km (241 mi). Perigee: 191 km (118 mi). Inclination: 62.80 deg. Period: 90.40 min. High resolution photo reconnaissance satellite; returned film capsule; maneuverable..
1979 January 13 - . 15:30 GMT - . Launch Site: Plesetsk. LV Family: R-7. Launch Vehicle: Soyuz-U. Cosmos 1071 - . Mass: 6,300 kg (13,800 lb). Nation: Russia. Agency: MOM. Class: Surveillance. Type: Military surveillance satellite. Spacecraft Bus: Vostok. Spacecraft: Zenit-4MKM. Duration: 13.00 days. Decay Date: 1979-01-26 . USAF Sat Cat: 11233 . COSPAR: 1979-002A. Apogee: 339 km (210 mi). Perigee: 179 km (111 mi). Inclination: 62.80 deg. Period: 89.70 min. High resolution photo reconnaissance satellite; returned film capsule; maneuverable..
1979 January 30 - . 15:15 GMT - . Launch Site: Plesetsk. LV Family: R-7. Launch Vehicle: Soyuz-U. Cosmos 1073 - . Mass: 6,300 kg (13,800 lb). Nation: Russia. Agency: MOM. Class: Surveillance. Type: Military surveillance satellite. Spacecraft Bus: Vostok. Spacecraft: Zenit-4MKM. Duration: 29.00 days. Decay Date: 1979-02-12 . USAF Sat Cat: 11255 . COSPAR: 1979-006A. Apogee: 328 km (203 mi). Perigee: 182 km (113 mi). Inclination: 62.80 deg. Period: 89.60 min. High resolution photo reconnaissance satellite; returned film capsule; maneuverable..
1979 February 22 - . 12:10 GMT - . Launch Site: Plesetsk. LV Family: R-7. Launch Vehicle: Soyuz-U. Cosmos 1078 - . Mass: 6,300 kg (13,800 lb). Nation: Russia. Agency: MOM. Class: Surveillance. Type: Military surveillance satellite. Spacecraft Bus: Vostok. Spacecraft: Zenit-4MKM. Duration: 8.00 days. Decay Date: 1979-03-02 . USAF Sat Cat: 11276 . COSPAR: 1979-016A. Apogee: 280 km (170 mi). Perigee: 168 km (104 mi). Inclination: 72.90 deg. Period: 89.00 min. High resolution photo reconnaissance satellite; returned film capsule; maneuverable..
1979 March 14 - . 10:50 GMT - . Launch Site: Plesetsk. LV Family: R-7. Launch Vehicle: Soyuz-U. Cosmos 1080 - . Mass: 6,300 kg (13,800 lb). Nation: Russia. Agency: MOM. Class: Surveillance. Type: Military surveillance satellite. Spacecraft Bus: Vostok. Spacecraft: Zenit-4MKM. Duration: 14.00 days. Decay Date: 1979-03-28 . USAF Sat Cat: 11294 . COSPAR: 1979-023A. Apogee: 294 km (182 mi). Perigee: 169 km (105 mi). Inclination: 72.90 deg. Period: 89.10 min. High resolution photo reconnaissance satellite; returned film capsule; maneuverable..
1979 May 15 - . 11:40 GMT - . Launch Site: Plesetsk. LV Family: R-7. Launch Vehicle: Soyuz-U. Cosmos 1098 - . Mass: 6,300 kg (13,800 lb). Nation: Russia. Agency: MOM. Class: Surveillance. Type: Military surveillance satellite. Spacecraft Bus: Vostok. Spacecraft: Zenit-4MKM. Duration: 13.00 days. Decay Date: 1979-05-28 . USAF Sat Cat: 11358 . COSPAR: 1979-040A. Apogee: 354 km (219 mi). Perigee: 170 km (100 mi). Inclination: 72.90 deg. Period: 89.80 min. High resolution photo reconnaissance satellite; returned film capsule; maneuverable; also performed earth resources tasks..
1979 July 10 - . 09:00 GMT - . Launch Site: Baikonur. Launch Complex: Baikonur LC1. Launch Pad: LC1 or LC31. LV Family: R-7. Launch Vehicle: Soyuz-U. Cosmos 1113 - . Mass: 6,300 kg (13,800 lb). Nation: Russia. Agency: MOM. Class: Surveillance. Type: Military surveillance satellite. Spacecraft Bus: Vostok. Spacecraft: Zenit-4MKM. Duration: 13.00 days. Decay Date: 1979-07-23 . USAF Sat Cat: 11447 . COSPAR: 1979-064A. Apogee: 330 km (200 mi). Perigee: 173 km (107 mi). Inclination: 65.00 deg. Period: 89.50 min. High resolution photo reconnaissance satellite; returned film capsule; maneuverable..
1979 July 25 - . 15:20 GMT - . Launch Site: Plesetsk. LV Family: R-7. Launch Vehicle: Soyuz-U. Cosmos 1117 - . Mass: 6,300 kg (13,800 lb). Nation: Russia. Agency: MOM. Class: Surveillance. Type: Military surveillance satellite. Spacecraft Bus: Vostok. Spacecraft: Zenit-4MKM. Duration: 13.00 days. Decay Date: 1979-08-07 . USAF Sat Cat: 11463 . COSPAR: 1979-068A. Apogee: 325 km (201 mi). Perigee: 177 km (109 mi). Inclination: 62.80 deg. Period: 89.50 min. High resolution photo reconnaissance satellite; returned film capsule; maneuverable..
1979 August 11 - . 09:15 GMT - . Launch Site: Baikonur. Launch Complex: Baikonur LC1. Launch Pad: LC1 or LC31. LV Family: R-7. Launch Vehicle: Soyuz-U. Cosmos 1120 - . Mass: 6,300 kg (13,800 lb). Nation: Russia. Agency: MOM. Class: Surveillance. Type: Military surveillance satellite. Spacecraft Bus: Vostok. Spacecraft: Zenit-4MKM. Duration: 13.00 days. Decay Date: 1979-08-24 . USAF Sat Cat: 11485 . COSPAR: 1979-073A. Apogee: 362 km (224 mi). Perigee: 170 km (100 mi). Inclination: 70.60 deg. Period: 89.80 min. High resolution photo reconnaissance satellite; returned film capsule; maneuverable..
1979 September 14 - . 15:30 GMT - . Launch Site: Plesetsk. LV Family: R-7. Launch Vehicle: Soyuz-U. Cosmos 1128 - . Mass: 6,300 kg (13,800 lb). Nation: Russia. Agency: MOM. Class: Surveillance. Type: Military surveillance satellite. Spacecraft Bus: Vostok. Spacecraft: Zenit-4MKM. Duration: 13.00 days. Decay Date: 1979-09-27 . USAF Sat Cat: 11529 . COSPAR: 1979-081A. Apogee: 328 km (203 mi). Perigee: 173 km (107 mi). Inclination: 62.80 deg. Period: 89.50 min. High resolution photo reconnaissance satellite; returned film capsule; maneuverable..
1979 December 28 - . 13:00 GMT - . Launch Site: Plesetsk. LV Family: R-7. Launch Vehicle: Soyuz-U. Cosmos 1148 - . Mass: 6,300 kg (13,800 lb). Nation: Russia. Agency: MOM. Class: Surveillance. Type: Military surveillance satellite. Spacecraft Bus: Vostok. Spacecraft: Zenit-4MKM. Duration: 13.00 days. Decay Date: 1980-01-10 . USAF Sat Cat: 11649 . COSPAR: 1979-106A. Apogee: 340 km (210 mi). Perigee: 170 km (100 mi). Inclination: 67.10 deg. Period: 89.60 min. High resolution photo reconnaissance satellite; returned film capsule; maneuverable..
1980 February 21 - . 12:00 GMT - . Launch Site: Plesetsk. LV Family: R-7. Launch Vehicle: Soyuz-U. Cosmos 1165 - . Mass: 6,300 kg (13,800 lb). Nation: Russia. Agency: MOM. Class: Surveillance. Type: Military surveillance satellite. Spacecraft Bus: Vostok. Spacecraft: Zenit-4MKM. Duration: 13.00 days. Decay Date: 1980-03-05 . USAF Sat Cat: 11713 . COSPAR: 1980-017A. Apogee: 350 km (210 mi). Perigee: 170 km (100 mi). Inclination: 72.90 deg. Period: 89.70 min. High resolution photo reconnaissance satellite; returned film capsule. 1980 April 1 - . 08:00 GMT - . Launch Site: Baikonur. Launch Complex: Baikonur LC1. Launch Pad: LC1 or LC31. LV Family: R-7. Launch Vehicle: Soyuz-U. Cosmos 1170 - . Mass: 6,300 kg (13,800 lb). Nation: Russia. Agency: MOM. Class: Surveillance. Type: Military surveillance satellite. Spacecraft Bus: Vostok. Spacecraft: Zenit-4MKM. Duration: 11.00 days. Decay Date: 1980-04-12 . USAF Sat Cat: 11747 . COSPAR: 1980-025A. Apogee: 379 km (235 mi). Perigee: 178 km (110 mi). Inclination: 70.40 deg. Period: 90.10 min. High resolution photo reconnaissance satellite; returned film capsule; maneuverable..
1980 April 17 - . 08:30 GMT - . Launch Site: Baikonur. Launch Complex: Baikonur LC1. Launch Pad: LC1 or LC31. LV Family: R-7. Launch Vehicle: Soyuz-U. Cosmos 1173 - . Mass: 6,300 kg (13,800 lb). Nation: Russia. Agency: MOM. Class: Surveillance. Type: Military surveillance satellite. Spacecraft Bus: Vostok. Spacecraft: Zenit-4MKM. Duration: 11.00 days. Decay Date: 1980-04-28 . USAF Sat Cat: 11763 . COSPAR: 1980-029A. Apogee: 352 km (218 mi). Perigee: 174 km (108 mi). Inclination: 70.30 deg. Period: 89.80 min. High resolution photo reconnaissance satellite; returned film capsule; maneuverable..
1980 October 10 - . 13:10 GMT - . Launch Site: Plesetsk. LV Family: R-7. Launch Vehicle: Soyuz-U. Cosmos 1214 - . Mass: 6,300 kg (13,800 lb). Nation: Russia. Agency: MOM. Class: Surveillance. Type: Military surveillance satellite. Spacecraft Bus: Vostok. Spacecraft: Zenit-4MKM. Duration: 13.00 days. Decay Date: 1980-10-23 . USAF Sat Cat: 12008 . COSPAR: 1980-082A. Apogee: 347 km (215 mi). Perigee: 170 km (100 mi). Inclination: 67.20 deg. Period: 89.70 min. High resolution photo reconnaissance satellite; returned film capsule; maneuverable..